There were three main flavours of software, desktop, online and apps (phone & iPad). The software below is in no particular order. We decided to show APPS above the others as they are economical and easy to install. 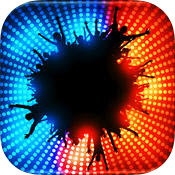 A powerful party planner that allows you to plan a party right on your iPhone; everything from guest lists, receiving RSVP's, shopping lists and much more. 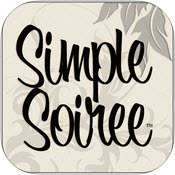 Simple Soiree is an iPhone app squarely aimed at the party market. Liza has incorporated the must-have features plus a few I hadn't thought of. It has a real stationary option which seems only applicable to the US market. Pro Party Planner is ideal for Meetings, Conferences, Tradeshows, Parties and Fundraisers! 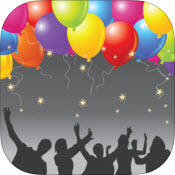 Top Party Planning App on iTunes, Pro Party Planner will help you get organized effectively by keeping track of your guests, budget and logistics in one place! This software looks pretty good if not on the steep learning curve side of management. having said that, purchased once, this software will manage a poarty for 20 right up to a wedding with a guest list of 500 people. It's 'very' American but then all the good software comes from the US. The video tutorials which I always like are very helpful. A new and simple way to prepare and plan the perfect birthday party for kids or adults! Create and customize your checklists by selecting from hundreds birthday planning to dos, adding photos and sounds, and choosing background colors. Choose from an extensive catalog of over 300 tasks to add to your list. Additionally, if a task or activity does not exist in our master catalog, you can customize your lists further by adding new task names and descriptions to it. The software was created by Red Box Productions which have also created other list management apps like Cleaning Checklist, Backpacking And Hiking, Moving To Do List and Pack & Go Packing List which makes me suspect that is just a "list' app. Again US$1.29 is not going to break the bank to find out. Also by the same developer as the previous app, with an identical description. In fact it was hard to tell them apart except for the price difference this one being more expensive. On the basis that the description understood the requirements suggests this may be very good software. A step by step procedure to organize parties in a quick and easy to use checklist format. In addition, it helps you track your guest contacts and invitations, party activities, and most importantly party budget giving you the difference between actual and estimated costs. Something about this app looks very good. The description accurately understands the goal. Whether you are a small event organiser, a large venue or a company, iVvy has all the features that you need to create a successful event. Even the smallest event is a big deal to your clients, and our online event and wedding planning program can help you manage all the details for any kind and size of event. From weddings and parties to corporate events, our tools give you complete control over guest lists, itineraries, budgets and every minute detail (including venues, vendors, transportation, decor and more). And our event website builder lets you create a custom website for every event to ease communication with attendees and collect RSVPs. Total Party Planner gives users the choice to access their data from anywhere, along with the promise of worry-free security, consistent feature-rich updates and customer service and technical support that is unparalleled in the industry. Set up custom proposals, view a calendar of events, create invoices, track clients, calculate food costs, hire staff, build recipes, analyze profits, track payments, manage rooms… the list of features goes on and on! VIP Organizer is single-user event (party) planning shareware for those people who want to be carefully and successful with planning, organizing and managing their events including parties and holidays. This 30 day free product provides plenty of task management features (such as categorization, prioritization, filtering, sorting etc.) that help you plan great parties in less time. Desktop, Online & Network | EventPro is Venue Booking, Event Management and Catering Management components are all seamlessly integrated so they can easily stand alone or be used all-in-one and anything in between. 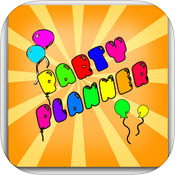 Party Planner - with Drink Calculator. Unless you are only wanting to invite 5 people (that's the limit with the free version) don't waste the download. 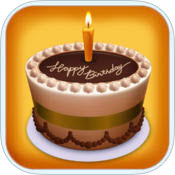 Party & Event Planner Pro - US$2.99 - organize an event or, if needed, several events in a simple, quick and efficient way. Party Budget Tracker - help you save money while planning your next party. PartyRSVP - allows you to send an RSVP upload file to the PartyList app or email a structured RSVP for a party. capterra.com offers an excellent guide for "Event" Management Software Solutions.